KALDEWEI, Ahlen, March 2019. – Easy, flat, flexible and secure – the magic formula for successful shower solutions from Kaldewei. It may sound simple but it sums up the bathroom specialist’s constant aim to always put the very best solution on the market for its partners and builders. This year Kaldewei, will once again be proving that it is an innovation leader in the area of floor-level showers. With added sizes, ultra-flat waste fittings and even more solutions for easy installation, there are now over 100,000 options to choose from when designing a floor-level shower area. This means bathroom professionals can respond even better to their customers’ individual wishes and it allows them to benefit from easy, efficient installation. Easy installation solutions are in high demand on building sites as they save valuable time, energy and money for professional fitters. By expanding its complete solutions, Kaldewei has made the installation of ultra-flat showers even easier. The ultra-flat tray support, for instance, will in future, be available for all of Kaldewei’s rectangular, floor-level showers – for over 150 models. 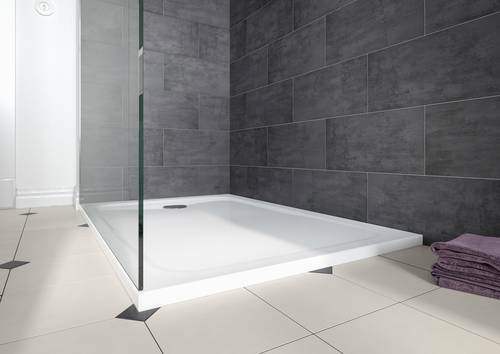 The shower surface and ultra-flat tray support are perfectly coordinated with each other, enabling floor-level installation, or where structural conditions do not allow a very flat installation with minimal entry height can be installed. That is ideal for renovations in older buildings. 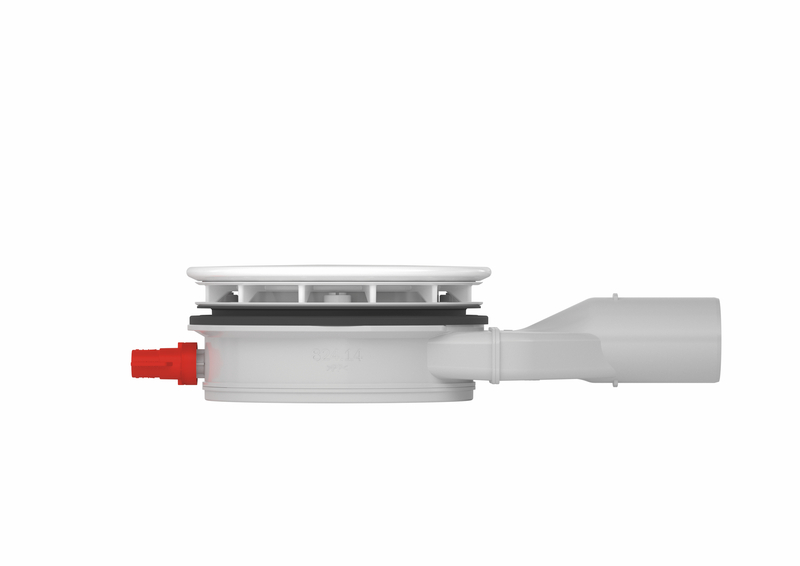 The floor-level installation of showers in existing bathrooms frequently presents bathroom professionals with major challenges because, often, the necessary built height is not available to allow floor-level installation of a shower in conjunction with a minimum water seal of 50 mm as specified by DIN EN 1253. For cases like these, Kaldewei offers waste systems for extra-flat installation with a water seal of 30 millimetres. Thanks to the new KA 120 and KA 125 models, planning has been made easier because now with the high-end Conoflat and Superplan Plus 20 designer shower surfaces these can be installed lower and ultra flat. The full waste fitting set always includes a matching enamelled waste cover, either round or square. Kaldewei impressively demonstrates, once again, that enamelled shower surfaces can even be installed flatter than channel or point runoff systems for tiled shower areas. Whether it’s about advising customers or easy, flexible installation, trade partners and builders benefit equally from the increased range of sizes in the area of floor-level showers. There are 12 new sizes available for the new Kaldewei Nexsys shower surface alone. In addition, the revolutionary shower concept can now be ordered with a Secure Plus anti-slip finish, in 17 different colours and with five different waste cover designs including polished gold and brushed rose gold. The popular Superplan XXL and Cayono model families have also grown, thanks to added sizes and extra accessories. This means that Kaldewei bathroom planners now have over 100,000 options for floor-level showers, giving them unlimited freedom for bathroom design. Long-term construction security with regard to floor-level showers primarily means perfect protection against moisture damage. Kaldewei has developed its “floor-level” sealing kit specially for sealing floor-level shower surfaces. Thanks to its prefabricated elements, it is particularly easy to handle and install on site. 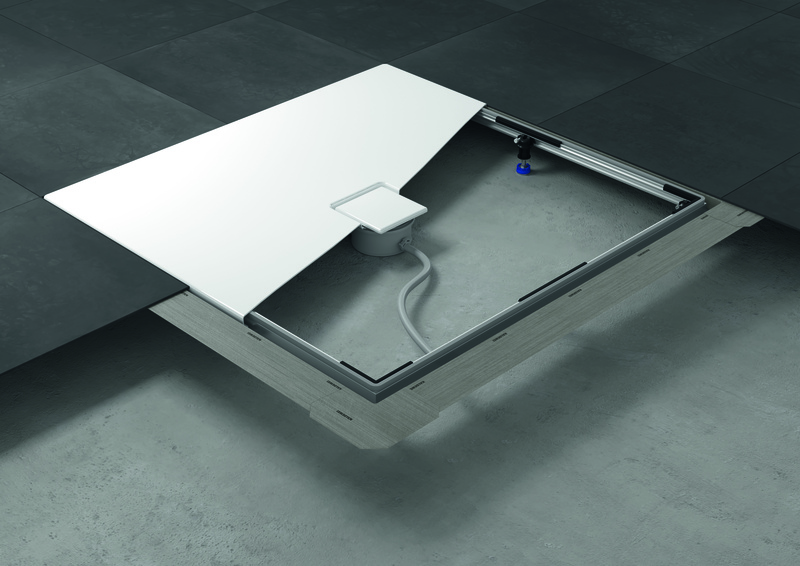 The ESR Floor-level installation system also ensures security in the bathroom. Thanks to a second sealing layer, this installation system for enamelled shower surfaces offers even more reliable sealing across the shower’s entire useful life, and therefore the best protection against moisture damage. Further information about Kaldewei shower and sealing systems is available on the Kaldewei website at www.kaldewei.com. Easy installation solutions are in high demand on building sites as they save valuable time, energy and money for bathroom professionals. By expanding its complete solutions, Kaldewei has made the installation of ultra-flat showers even easier. The ultra-flat tray support, for instance, will in future be available for all of Kaldewei’s rectangular, floor-level showers – for over 150 models. Product shown: Kaldewei Cayonoplan shower surface. Thanks to the new KA 120 and KA 125 models, planning has been made easier because now with the high-end Conoflat and Superplan Plus 20 designer shower surfaces can be installed lower and ultra flat. 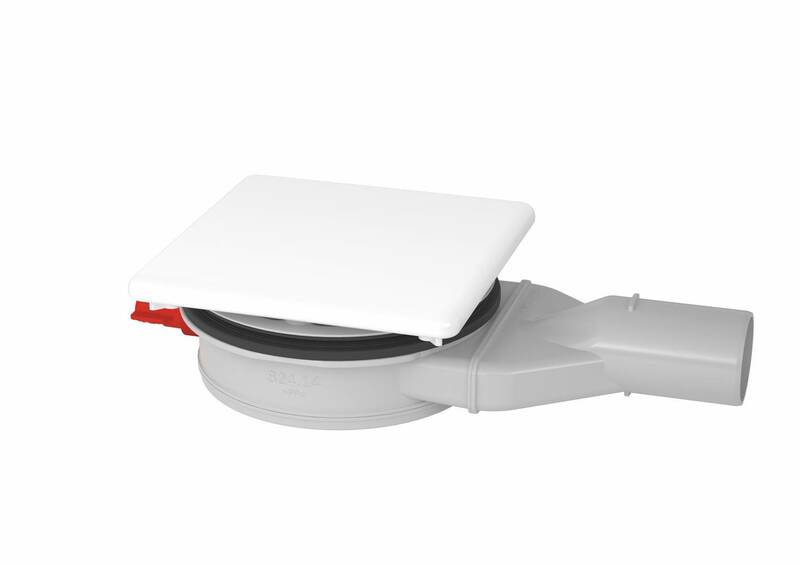 The full waste fitting set always includes a matching enamelled waste cover, either round or square. Whether it’s about advising customers or easy, flexible installation, trade partners and builders benefit equally from the increased range of sizes in the area of floor-level showers. There are 12 new sizes available for the new Kaldewei Nexsys shower surface alone. 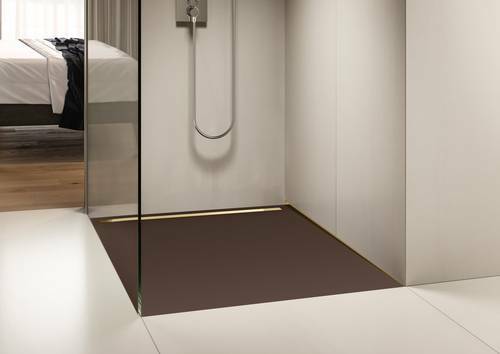 In addition, the revolutionary shower concept can now be ordered with a Secure Plus anti-slip finish, in 17 different colours and with five different waste cover designs including polished gold and brushed rose gold. Product shown: Kaldewei Nexsys shower surface in Woodberry Brown Matt from the Coordinated Colours Collection with design cover in polished gold. Kaldewei has developed its “floor-level” sealing kit specially for sealing floor-level shower surfaces. Thanks to its prefabricated elements, it is particularly easy to handle and install on site. The ESR floor-level installation system also ensures security in the bathroom. 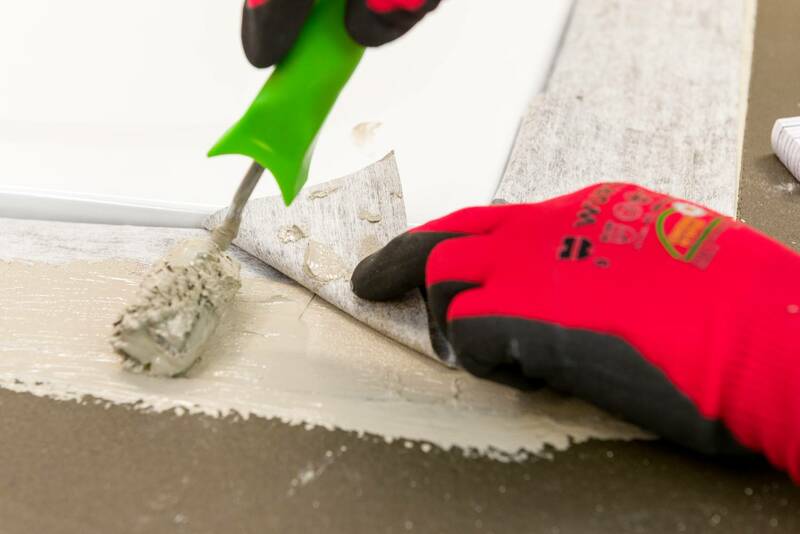 Thanks to a second sealing layer, this installation system for enamelled shower surfaces offers even more reliable sealing across the shower’s entire useful life, and therefore the best protection against moisture damage.